Whenever you click on a hashtag on Facebook, Instagram or any other social network, it’s like you enter a new world. In recent years, we can’t imagine social media without hashtags. Every post gets its identity and place in the social media world through its accompanying hashtags. But how did the movement start? Why do we use hashtags and not something else? In this piece, we intend to explore these questions and the history of this strange and unique trend. Let’s take a look at where it all started and what do hashtags mean to us. Out of all the explanations available, the best one is that it’s a metadata tag. Metadata tags are used to dynamically and swiftly tag messages and any other type of content on social media. What makes the hashtag unique is that it’s a user-generated for of taxonomy, something that we have never seen before. Nowadays, it’s essential to a successful marketing campaign, perhaps even more than the content itself. Where did it all start and how did it develop? Before being used as a categorizing and marketing tool, the hashtag was simply known as “the pound sign.” Its most prominent use was by kids when playing tic-tac-toe. 1988 – on Internet Relay Chat (IRC), hashtags were chosen as a random symbol for categorizing. Users could categorize any message, image or video into groups and view them later. This trend led to the first form of online search. 2007 – the hashtag was technically known by people around the world, but it didn’t enter widespread use until Chris Messina introduced it. 2009 – Twitter officially adopted the hashtag into code. This resulted in hashtag-appended items being hyperlinked at all times. 2010 – The very next year, Twitter began highlighting hashtags and using the terms “trending” and “trending” topics. As we see, in just three years, the hashtag made the journey from just a content tag to a major means of highlighting news and information. The categorizing property of the hashtag soon saw it “creep” into the world of marketing. But how can you grow your brand using hashtags? Let’s take a look at some of the secrets about the hashtag marketing on social media. Most marketers only view hashtags as just a means of promoting their content. While this is one of its more prominent uses, it comes after scouting out the market. Before you launch a campaign on social media, click on the hashtag to see the most popular tagged posts. What sets them apart? Why are they so popular? Instagram has recently introduced a feature that separates the most popular and the most recent tagged posts. This innovation gives you the opportunity to plan your campaigns by looking up to more successful brands in your field. If you’re organizing an event related to your brand, hashtags are a great way to increase interaction between people. This is a secret that many brands and marketers fail to utilize. Having an event-dedicated hashtag lets attendees promote the event and your brand at the same time. They can discuss the ongoing matters and involve their friends and followers as well. Increasing activity at an event results in better engagement, which allows people to become active participants in your brand. Influencers can also use hashtags at your events to drive activity and further increase overall participation. Companies such as BMW, Apple, and Samsung frequently use hashtags as an integral part of their events. When posting a paragraph or two on Facebook or as an Instagram description, you are sending a message. By transmitting your idea, you are counting on your followers to spread that message further. However, there is a problem when it comes to the length of the content. That’s where hashtags come to the rescue. To make your posts more shareable, summarize the main idea or two into hashtags. An ideal solution would be to create your slogan and hashtag it. Hashtag marketing does revolve around sending a message to your audience, but ask yourself – how effective your message is? If it can’t be shortened to 10 characters, it won’t be memorable or unique. Have a hashtag that’s too short or basic, and nobody will click on your posts or engage with you. A hashtag that’s too obscure, and you’ll find yourself marketing your brand ineffectively. Ten characters should be the absolute maximum for your hashtag. However, if you think of a tag that’s engaging, memorable and creative, don’t hesitate to push it to 12 or 13 characters. Ideally, your hashtags should be in Latin script, without any umlaut characters. Your other hashtags might be longer or shorter, but the one you base your campaign around should be short, effective and memorable. Using hashtags went from mere categorizing to allowing audiences to engage brands and marketers. There are so many ways to use hashtags, but the most important is to observe the competition and engage with your audience. Don’t worry if you can’t think of a good hashtag right away. Take your time and make sure the one you end up using is effective. A hashtag is a reflection of your ideas and messages to the public. Recent statistics show that Instagram has one billion of monthly active users. To communicate effectively with that amount of users and execute Instagram marketing campaigns successfully, it’s essential to learn the language of Instagram – hashtags. A hashtag is a hash symbol (#) with a keyword or a phrase, for example, #business #fashion #sunday. Its primary purpose is to categorize content and make it more discoverable. When a person taps on a hashtag or looks for it, there will be a page with all the posts containing that hashtag. Besides, using the right hashtags will help you gain new followers and get more exposure on Instagram. But first, let’s learn some Instagram language basics. There are different types of Instagram hashtags, and it’s important to choose one according to the aim of your post. 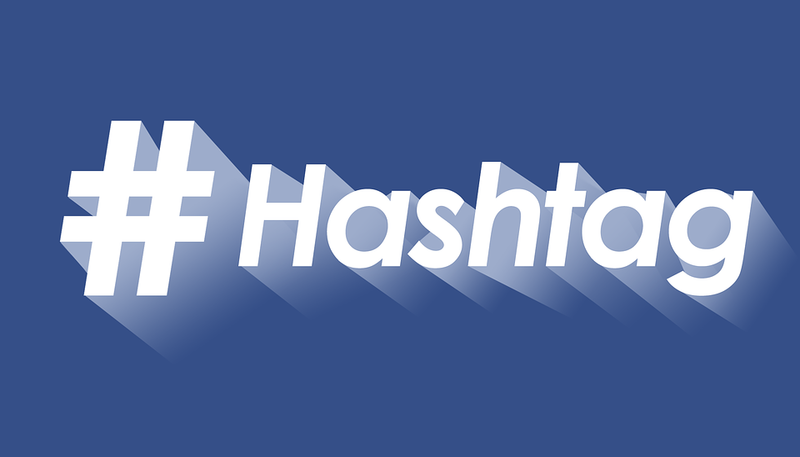 As the name suggests, a branded hashtag is a hashtag that reflects your business. It can usually be your business name, slogan or a name of your product, service or campaign. On the other hand, it can be all about your brand identity and company culture, without mentioning its name explicitly. It’s recommended to use branded hashtags when you organize some contest or campaign, like a product launch because it will help you increase engagement and organize all the posts with that tag. Also, branded hashtags are convenient when you want to promote your company and show your company values, culture and achievements. The role of branded hashtags is to make you closer to your audience. When your followers use your brand hashtags in their posts, the higher are the chances that you’ll get discovered and have more visibility. Consider it as a word of mouth recommendation. Community hashtags are the type of hashtags that connect people with common interests around a particular subject. A difference from branded hashtags, community hashtags are less company oriented, and they can be broader. For example, Herschel Supply’s created a #welltravelled hashtag to bring together like-minded people around their passion about travel and travel photography. Community hashtags represent a great way to improve the visibility of your posts, connect with others, gain new followers, and grow your online community. As branded hashtags, community tags also refer to a specific campaign, but the difference is that they aren’t supposed to last as branded hashtags. The reason why campaign hashtags expire so quickly is that they are related to a particular campaign that has a specific duration, such as a couple of days or one season. When the promotion is on, this type of hashtag is actively used, and once it is over, a campaign hashtag is no longer used. Once you’re familiar with the types of hashtags, it’s time to learn how to craft the best ones by following Instagram holy commandments. So, make sure you use appropriate hashtags that your audience is looking for. It’s the only way to increase engagement in the long term. Again, you should avoid spamming and use the appropriate amount of hashtags. In other words, try to stay relevant and use as many as hashtags you need to describe your post. Nothing more, nothing less. It’s possible to add up to 30 hashtags to a post, but according to TrackMaven research, posts with 11 hashtags have the most engagement. However, test this and find your formula for success. It’s important to keep your hashtags short and sweet. Therefore, forget about a never-ending line of words and give them more natural sense. For instance, it’s better to use #USAAirplaneLovers, instead of #AmericanMilitaryAirplaneEnthusiasts. Sometimes when you combine a couple of words, it can spell out something that wasn’t your intention, and you don’t want to be remembered by a failed or raunchy campaign. So, maybe it would be good to consult with professionals, such as AussieWritings Service to make sure your hashtags are both creative and accurate. It’s possible to include emoji in your hashtags, besides letters and numbers. These eye-catching visuals will help your content stand out from the crowd and keep it short as well. Avoid using popular hashtags, like #happy, #travel, or #likeforlike because it won’t help you find targeted and engaged followers. Better focus on more specific hashtags, for example, relative travel location or hotel’s brand hashtag. Choose hashtags that describe your business and your target audience. For instance, a vegan restaurant can use #veganfood #plantbasedfood to describe its products and #vegan #vegangirl to describe its market. Find inspiration from your audience or influencers in your niche and see which hashtags they use, but they have to match to your content. Check out what hashtags your competitors are using, and maybe you’ll find some new ones to add to your list. Use the Instagram search function to discover related hashtags. Just type your hashtag in the app’s search bar and select some of the tags listed below. Play with follow hashtag option and check other suggested tags that you can include to your list. Use Later’s hashtag suggestion feature to quickly and easily find the right hashtags for your account. Once you apply these tips and create appropriate hashtags, you’ll see for yourselves that they work. You’ll be able to fluently speak the language of Instagram and deliver your message which will result in achieving your business goals. Plus, hashtags represent a great way to connect with customers, find content created about you by your followers, and build long-term relationships with customers and partners. The quote highlights how things work in content marketing. You got to build relationships and monitor your clients based on their behaviorism closely. Merely creating a brilliant content isn’t really the kind of brilliance one should look for. Rather, content marketers should consider keeping track of the content produced and monitor its performance among the target audience closely. That’s what would help an individual determine the level of success or failure for a particular content circulated and promoted across the market. And when it comes to social media, you have no choice but to keep track of each and every data, progress report and content popularity across the virtual world. Moreover, with an estimated count of 2.77 billion social media network users across the world to hit a new high in the year 2019, you shouldn’t doubt the power and popularity of this medium, as far as the context of content promotion is concerned. Now, in order to make things work perfectly on social media and track content performance seamlessly, you need to produce original content with no trace of duplicity in any form. Even though there are plagiarism checker available these days to validate original content, there’s more to it. A few good strategies and metrics that can actually help you game things up with precision. Wondering what could possibly help you carry things out in a better way? Here’re the best five ways and metrics to help your content rule over social media. This is one of the primary and perhaps the most helpful metrics to be considered if you wish to evaluate and analyze content promotion performance on social media. The rate of engagement is nothing but the total number of users who have seen your content, talked about it, commented, shared, liked, disliked, reposted, so on and so forth. Thus, using this particular metric will help you to determine whether the content is working fine. A lower engagement rate might indicate lesser popularity and client footfall due to various factors comprising irrelevant message, poor presentation, unattractive content and the likes. A thorough scrutiny of every nitty-gritty of user engagement rate would eventually help you fix all issues and develop better contents for the right kind of social media exposure in the long run. This is yet another noteworthy metric that can fetch you some satisfactory results in terms of evaluating content promotion performance on social media. According to a survey by WordStream, it has been stated that 2% is relatively a good CTR in the search campaigns on Bing or on AdWords. And in addition, the survey also sets a reminded for the marketers that they can always have the scope for aiming for the better, and rise above what’s good. While this was only a bit of extracted information I felt like sharing with you guys, the real message however is the fact that you got to maintain a decent CTR for your social media campaigns and keep monitoring its progress from time to time. Even though there’s no hard and fast rule for maintaining a certain CTR standard, one should always try and balance between clicks and impressions. Keeping an eye on the ratio would eventually help you to detect issues with your content, identify all loopholes and rectify the same for better conversion rate. Proofreading and editing are perhaps the most crucial elements of concern when it comes to ensuring satisfactory content promotion performance on social media networks. Honestly, no one likes to read content comprising silly contextual errors, grammatical mistakes and irrelevant sentences stuffed in it. And in the world of social media networking, you cannot afford to commit such grave mistakes where readers might just end up losing interest in consuming the content and consider its true worth. Thus, it is always a smarter idea to revise your content from scratch, take enough time to edit and reconstruct a particular sentence and be expressive enough to voice your opinion to the audience you wish to cater. You need to compile all results and progress of the social media campaign in a documented format. Regardless of the progress, good or bad, you should always consider keeping a record of all performance from time to time. Social media analytics is a great way to keep track of competitor activities and monitor their progress. This, as a result, will help you enjoy the advantage of tallying all reports. Compare your content progress with that of the progresses made by your competitors and strategize all needful activities that can boost your social media content performance in the long run. Well, here are a few vital points and key functional areas one must always consider to include while creating a progress report. Take a look. Include graphs and relevant infographics for a better insight and knowledge of your stakeholders. Emphasize more on visual data and refrain from overstuffing the report with too many contradictions. Try and create separate charts and maintain individual reports while displaying the progress and performance of your content for each of the social media platforms. The more organized you are in your efforts to create progress reports and in monitoring social media content metrics, the better is your chance to convert your investment into the coveted outcome and revenue for your business. Now, that you have almost worked on the different metrics suitable for the content model and the social media users you have targeted, it’s time to figure out and leverage the potential of all accurate tools that can help you capture the metrics successfully. Hashtag analyzers such as Hashtagify are a nice option for marketers willing to boost social media strategies across various platforms with intelligent hashtag tracking and analytics options. Moreover, the application allows its users to discover top influencers and pick popular hashtags to ensure a successful marketing campaign in an era of social media dominance. To choose the right tool, you got to realize what requirements are associated with your content strategy, and pick the tool that can help you to be at par with your competitors. It has been an age-old practice to use data, industry insights and information in order to gauge the impact of certain activity being performed, both on personal and professional grounds. Now, with further advancements and a new wave of change that happened to us in the form of social media networks spread across the globe, ambitious entrepreneurs simply cannot afford to miss out on exploring this dimension while making the most of it. From big data analytics to data visualization and predictive modeling, there are so many techniques discovered and tools developed in order to support all backend activities associated with social media monitoring which are imperative for most of the progressive digital marketing agencies. Now that you know the ideal strategies, well-defined metrics and an accurate identification of tools and resources necessary to evaluate content promotion performance across social media platforms, take some time out. Think about your next move and come up with the finest of all tactics to ensure the best actionable points that can benefit your organization with excellent content promotion performance and progress. Nathan William is a dedicated academic expert associated with MyAssignmenthelp, who never refuses to help students asking him to “do my assignment”. In addition to being a devoted assignment writer, Nathan is a freelance blogger, travel journalist and a dance teacher, all the way from Boston, United States. Twenty years earlier, if someone told you that it is possible to get your message across the globe using just a hashtag, you might have found that hard to believe. Well, we have seen what kind of impact #IceBucketChallenge or #BlackLivesMatter had on the society in the past few years. As a matter of fact, hashtags are one of the most powerful tools that we have in today’s digitized world. So, how exactly do the marketers use it to their advantage? Well, even though hashtags are quite powerful, putting it with a random word or phrase does not deliver positive results. In fact, brands require a solid social media marketing strategy revolving around the use of hashtags to raise brand awareness as well as to boost their marketing campaigns. If you are a social media marketer, you may already be familiar with popular hashtags in the market, but that is not going to be enough. You may also need to learn about the unconventional hashtag tactics that are currently ruling the marketing space across various social media platforms. While most of the marketers aim to gain a decent mileage using the popular hashtags which are trending in the market, there is a significant portion of the social media marketers who create their own slogans or keywords around specific marketing campaigns and use them as hashtags. Using your brand name as hashtags is a common practice, but there are only a few brands which have received positive results for using branded hashtags. You must have heard about Coca-Cola’s “Share a Coke” campaign where the brand imprinted common names on their pet bottles and cans, encouraging the customers to share the coke with a “John”, “Mike” or “Karen” they know, or with their “Friends”. As soon as the campaign hit the market, people started posting their pictures with the hashtag “#ShareaCoke”, tagging the person whose name they found on the bottle. It generated an organic promotion as people kept on doing the same, letting others know about the promotion. The concept of keyword research is already quite popular among the marketers. However, in today’s date, it makes more sense to conduct hashtag research before preparing a strategy for a social media campaign. Smart social media marketers usually research hashtags via keyword analysis to learn the volume and frequency of the posts, containing the chosen hashtag. Learning about the necessary hashtag metrics is not that difficult. You can get the analysis of a trending hashtag using the built-in tools in the social networking platform, or by using more accurate hashtag analytics like Hashtagify.me. A social media marketer usually uses these tricks to find out which hashtags are being used by the users and the influencers. After locating the popular posts, marketers can join in the on-going conversation on social media and leverage the popularity of the post to promote their brand name or the social media campaigns. If you have observed the use of hashtags on social media, you may have noticed that a certain number of hashtags gain a massive amount of mileage during the festive season or on a special day. For instance “#happyholidays” or “#happyeaster” remain on the top of most popular hashtags across social media platforms during Christmas or Easter, respectively. If you work for a brand that offers Australian assignment help, using “#stressfreeholiday” during the holiday season can deliver effective results. It is easier for marketers to build social media campaigns around special days and celebrations as people naturally post updates using the relevant hashtags. You, as a social media marketer, have the option to build your campaign on those. A lot of brands use this trick to promote their campaigns. The hashtags used by retail companies (#ChristmasShopping and #HolidaySavings) and food chains (#HolidayEats and #ChirstmasDinner) gain significant popularity during Christmas. It may seem easier to run a social media campaign on a special day or during the festive season as the response from the public comes easy with time. However, marketers can gain a significant amount of response from the users on a regular day if they can manage to get a social media influencer to share a relevant post with the chosen hashtag. It can be more effective when the influencer belongs to the same industry as the brand that is running the campaign. Approaching the social media influencer and convincing him or her to post on behalf of the brand are the toughest part of this trick. However, some influencers look forward to such collaboration since these activities also boost their reach. As a social media manager, it is your duty to know which individuals and groups have a significant fan following in your industry. You can choose a popular persona from the entertainment industry to talk about assignment help services, but that is not going to look great if you are pushing a branded hashtag. Choosing someone, who often discusses about the significance of education in life, sounds more logical in this case. If it is done in the right way, it can improve the brand awareness and also boost the credibility of the brand. Social media marketing is a dynamic field, where one day you are leading the list of most popular hashtags while the next day, you may have it difficult to get near the leaderboard. This is why it seems like a smart move from the marketers to check out what the competitors are doing to stay on top in the competition. This can be achieved using competitive analysis, that too with the help of targeted hashtags. A competitive analysis of the marketing efforts of the competitors can help you learn which hashtags they are using, the follower engagement around the posts, the campaigns associated with the chosen hashtags, and the reported outcomes. This kind of analysis allows the marketers to understand what kind of content is working in the industry and what is not. Using the collected data, you may also be able to come up with a new hashtag campaign for your brand. Even though some of these hashtag tactics may sound unconventional, a lot of marketers are actually incorporating these tricks to improve the social media marketing output. If you are already practising some of these tactics to boost your social media campaign, you are already several steps ahead of your peers. However, if you learned about these tactics just now, it will be wiser if you find a way to incorporate these tricks into your social media marketing strategy. Jedda Cain is a social media marketer who is currently employed at an MNC. She is also associated with EssayAssignmentHelp where she deals with the problems faced by students and offers them the necessary essay writing help on request. She is also a guest writer at AllEssayWriter. Using hashtags for your business can bring you many benefits. Read this blog to know how you can use the hashtags in various ways to promote your business. #tbt, #photooftheday, #instagood, are some of the hashtags that you see every day on social media. But, have you been thinking that the hashtags can only be used for personal posts and not for your business? From top fashion designing brands to the top technology companies, everybody uses hashtags to get more customer engagement and to promote their brand. If you are not doing it, you are probably missing out on a number of potential customers. A key rule of marketing is to understand the mindset of the target audience and to use what works for them while promoting a business. The hashtag is a trend that is widely used by everybody. Hence, incorporating it in your marketing and promotional campaigns can give you a big leap. Hashtag containing tweets have 55% more chance of getting retweeted compared to the ones that don’t contain it. Over 50% users are likely to share hashtags often if they get discounts for utilising the hashtags. On Instagram, 7 of 10 hashtags are branded. Like Twittter, on Instagram too, the use of hashtag can get 6% more engagement compared to the posts that do not contain it. Hashtags can also be used to draw positive or negative emotion from the audience about the company. Thus, with the correct use of the right hashtags, you can even build a good image of your brand. Hashtags are the most trending thing now. These are important for your business because it helps in enhancing the social media engagement with the users who are new. With the help of hashtags, you can raise the online presence of your brand and also draw in new customers. They can assist users to find your page as hashtags help in making filtering and detecting related content. Thus, you will be able to get more potential customers to your profile or account. How can you use hashtags for promoting your brand? Create your own hashtag- You can promote your brand or business by creating your very own unique hashtag. But, you will have to make it popular, so that it can reach out to as many people as possible. To do that, you can create strategies to make your followers share or include the newly created hashtag in their posts. For example, if you run an academic writing company, like MyAssignmentHelp is running. They created their own brand hashtags for their product and services. Brand hashtags- These are the kind of hashtags that you specifically make for your brand. It can contain your brand name or a tagline. It is something that will define your brand and people can identify your business. You have to create your brand hashtag which will be central to your business. It must be something that can be easily be spelt and remembered. Before you decide on the hashtag, you should do research to know which types of hashtags are being used by the other companies in your industry. With this hashtag, your customers can use it in different social media sites to mention your brand. For example, a very popular hashtag used by KitKat is #HaveABreak. This hashtag lets the consumers use this hashtag whenever they engage with others in the same community, and also with their own images. This shows that KitKat has many authentic consumers who have actually bought and enjoyed their product. Campaign hashtags- Another way to use hashtags for promoting a brand is by creating hashtags for special campaigns. You can use different hashtags for various marketing campaigns. In order to create this, you need to use the name of your campaign as the hashtag. These hashtags are used for short-term promotions. A great example is #WeAccept, which was created by Airbnb. This helped them to show the universal nature of the company, and that the brand supports such an important ethical issue. With the use of this hashtag, they created a positive sentiment among their customers about the company. Contest hashtags- Holding a contest is a great way to engage consumers. And using hashtags can make it more effective. Ask the users to use the hashtag to enter the contest or use some other strategy to make it popular. This way, people will be motivated to use and share your hashtag and your brand will also reach out to many people. Some popular and common hashtags that are used in contests are as follows: #contests, #giveaways, #winitwednesday, #contestalert etc. Hashtags that are trending- A great way to promote your brand is to use the trending hashtags. If you can use these hashtags strategically, your brand can actually reach out to those people who are not your followers. You should only use those trending hashtags which are relevant to your business. However, it is recommended not to use too many hashtags that are not related to your brand. It might get a negative effect on the followers, or your Twitter account can even get blocked. Some of the trending hashtags of the moment are: #love, #instadaily, #B2B, #business, #tutorial, #DIY, #followforfollow, etc. Activity or Holidays hashtags- These are the types of hashtags that most people use. An excellent way to promote your brand is to include a holiday hashtag, specifically during the holiday season. Activity hashtags can be used when you are making a post which involves some activity. As you can see, there are many ways by which you can promote your brand by using hashtags. The key is to use the correct hashtags for your business and creating the perfect strategy. By doing this, you can soon reach out to the maximum number of consumers. Being a versed blogger, Arif Rashid has found the inspiration in the generation of millennial while creativity connects to your writing. He tries to discover new trends in the world on technological aspects. Love to write blogs endlessly and enlightening others. He develop the skills and mindset to navigate constant change and build resilience. Presently he is part time writer at assignment help firm. Instagram is a growing influence marketing chain with over 850 million active users every month. In such a cut-throat market, it is essential to identify exact tactics to grow your outreach. So why are hashtags so relevant here? These hashtags are your best bet to bring organic visitors. An Instagram user interested in a particular hashtag search all related posts using this hashtag. This where they will discover your work. But do you really want to use those generic hashtags and be lost among the millions of different posts? Here we will discover specific tricks you can use to systematically exploit the Instagram Algorithm and use Hashtags for your profit. The algorithm will decide the ranking of your posts in the list. So naturally, the posts mentioned above the feed will get more traction. Instagram released insights of these algorithms in the month of June this year, revealing all the aspects that govern the ranking of your post when a user is searching for a hashtag. Now it is probable that the algorithm can change subjectively in the near future, but we can use the given standards to build substantial ripples in your Instagram marketing efforts. The factor that creates relevant recommendations is mainly user personal preferences and interests. The users that are using similar posts are more likely to come across your posts and explore your Instagram profile. If a visitor has accessed your profile in the past, they are more likely to see your posts in their suggestions. This is mainly because the algorithm suggests continuous and engaging content that is recommended according to user preferences and interests. The algorithm takes into account the recency of your posts to increase the exposure to an audience. Earlier, Instagram used the chronological order approach in the feeds ut now they are prioritizing posts based on user preferences as well. When a user is following a lot of accounts, the engagement on your post is relatively lower since there is a lot of competition for finding a spot in the top feed of the usera. If a user is on the application after a long period, your post may not be seen on their profile due to the overall quantity of posts made by competing accounts. Similarly, if the user doesn’t spend enough time on their phones, chances are they will not be scrolling down to see every post in their feed. Business accounts at the platform enjoy better prospects compare to personal accounts. Personal account, on the other hand, has a difficult time while engaging with organic traffic. Maintaining loyalty with your audience and making timely interactions can help you generate long-term followers. This can help you to get the top spot in their Instagram feed. Engaging with other content creators publically will help you in driving their followers towards your own content. Instagram’s new features to highlight and prioritize comments on the basis of user outreach and platform activity can help you to get the attention of users through your comments. Create effective traction by using Insights of your audience. Business accounts can view the peak usages of their audience and post hen they are likely to receive topmost views or attention. You can now follow your favorite hashtags and receive posts on your feed. You can use this feature to get featured in the feeds of non-followers. However, the advantage can backfire when you start using irrelevant hashtags. The user following a given hashtag will come across your post through their feed. In a scenario where they do not like the post or find it unrelated to the tag, they can just report the post by clicking “ Don’t Show for This Hashtag.” The feature, therefore, has the potential to get your account red flagged. Ensure the tags are relevant to the posts so that you can gain credibility and specialized traction. Another feature introduced recently is the Hashtags in Instagram stories. This gives you better opportunity to expose yourself self to a new audience out there. The Geo-location and hashtags are effective in bringing the organic audience to your profile thereby creating engagement for your frequent posts and 24-hour lived stories. Instagram features two different type of hashtags. These are branded and community hashtags. Understanding the underlying contrasts will help you to create a marketing strategy. The branded hashtags will be relevant and specific to your business sector. So use a quickwitted, easy to remember hashtags that will make your users excited to share your account and your brand hashtag with their peers. Now the problematic part of your hashtag marketing is actually finding those hashtags. You can go ahead and identify the popular hashtags through any mobile application or trending blogs, but the trick to making an effective outreach is to prefer the quality of hashtags over quantity. For example, the hashtag #fashion is always trending on Instagram. So your post with the hashtag fashion will fall down the list within seconds. So how about using a more specific hashtag? Something that defines the content of your page. Follow other users. Look at their tactics and always keep an idea of the ever-changing trends of Instagram. Hashtags are the most organic method to create traction in the audience and truly interact with the interested fans of your content. Use the given tips to enhance your Instagram marketing through Hashtags. Anthony Bergs is the CMO at a writing services company, Writers Per Hour. He is a certified inbound marketer with a strong background in implementation of complex marketing strategies. Feel free to connect with Anthony on LinkedIn. The most famous marketing efforts come from brands with millions to shell out on expensive ads and campaigns. However, not every business is big and rich enough to finance this. This is why social media became one of the favorite places of marketers looking to improve their techniques. Even some of the big brands turned to social media because it offers a lot of value for far less money. And truly, it’s fairly cheap, easy to do and much more creative and inclusive of customers than the traditional methods. Casper is a brand swing mattresses directly to consumers. Now, most of us don’t even think about mattresses until we need to buy one. This means that Casper would have little to no engagement on their social media. However, they found a way to stay relevant with interesting and funny social media content which includes funny haiku, Monday posts and sleep related content. You can take a page from their book and create content that’s different and engaging yet still slightly related to your products or services. This fashion brand asked their users to share photos of them in ASOS clothes. This is a great user content generated strategy that brought ASOS a chance to fill up their feed with quality content but also promote their products in an easy, seamless way. Users are known to trust their peers more than they trust brands so this is a great way to implement social proof, good content and product promo. You can replicate this by asking users to produce content related to your product for a chance to be featured on your pages. Native Union is a popular cell phone accessory brand which wanted to raise their brand awareness in the female 18-30 year old market. They used Pinterest where they posted their high quality photos and managed to sell their products wholesale to brick and mortar stores. Tweet Bra is a funny concept yet it became a useful tool and a really successful marketing campaign. Since breast cancer awareness is so important, Tweet Bra sends gentle reminder tweets to women to get their monthly check ups. This worked because a Tweeting Bra is going to grab anyone’s attention and it used something that women used daily to inform them of something important. While you surely can’t replicate this, it does bring to your attention just how useful those push notifications are in putting your content more closely in front of your readers. Disney had an extremely entertaining campaign around the Beauty and The Beast movie premiere. Their method was to give their Instagram account to Gaston, one of the popular characters from the movie. He shared exclusive behind the scenes videos and images of the movie premiere. “This worked because fans rarely ever get a chance to see a movie premiere that closely. The exclusive content brought the movie closer to the users and made them a part of the event. You can do the same by giving some exclusive access to your followers on social media,” says Regina Bowland, SMM from Write My X and AcademicBrits. Anthropologie had an extremely successful Instagram campaign when they decided to ask their followers to apply to be models for their new fashion campaign. All they had to do is post images of themselves wearing Anthropologie clothes with a #AnthropologieOpenCall hashtag. You can replicate this by hosting an easy-to-enter content with great prizes. “When other smartphone brands put better cameras in their devices, Apple, famous for amazing iPhone cameras, decided to have a campaign promoting their phones on Instagram. They shared great pictures and encouraged their readers to shoot photos with their iPhones and share them under their hashtag to be featured on their page,” says Luke Binham, a social media writer at 1Day2Write. This campaign used the Facebook Live option to show their customers how great traveling is and give subtle suggestions as to where to go next. They showed various activities in destinations and included the hosts as well. These in-depth tours worked because video – especially live video – has become more popular in recent years. It’s a great way to promote your products or services. But, this also worked because Airbnb promoted experiences. Users are looking for that – new things to taste, smell, see and feel. You can try mimicking this by offering your users live videos of experience your product or service offers. Marketing campaigns don’t have to be expensive and hard. All you have to do is find a creative way to promote them on your social media. Take a look at some of these examples to get ideas. Martha Jameson has been in love with reading her entire life but now she has decided to try writing. Before she chose writing at OriginWritings as her calling, she was a Web designer and a manager. Martha’s main goals are to share her experience, motivation and knowledge with her readers.